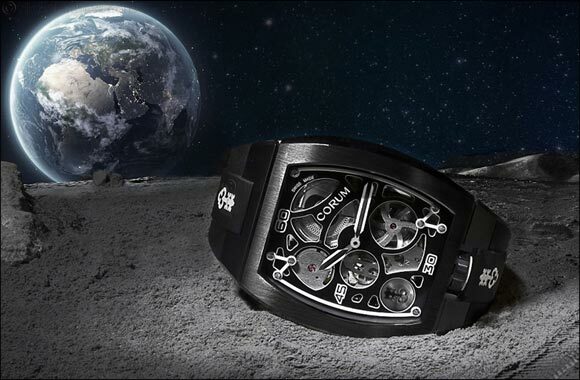 Different, unique, off the beaten track: Corum's conception of watchmaking today has no equal. The brand launched a new limited series that embodies this manifesto: the Heritage Corum Lab 01. The idea: offer pieces with a racing, sculptural, technical, modern spirit and which will only be available as limited editions. Corum has opted for an open worked dial which allows for the CO 410 skeleton calibre that fits snugly in the case to be admired. The dial, reduced to its simplest expression, comes in grey anthracite enhanced with either red or white, depending on the version. Enthusiasts will also note the micro-rotor, visible from the dial side, featuring a contemporary spiral finish to accentuate the “speed” effect when it begins to rotate.